This eBook will be available for download on May 07, 2019. If you purchase today, the download will be available immediately after midnight (US Pacific time) that day. 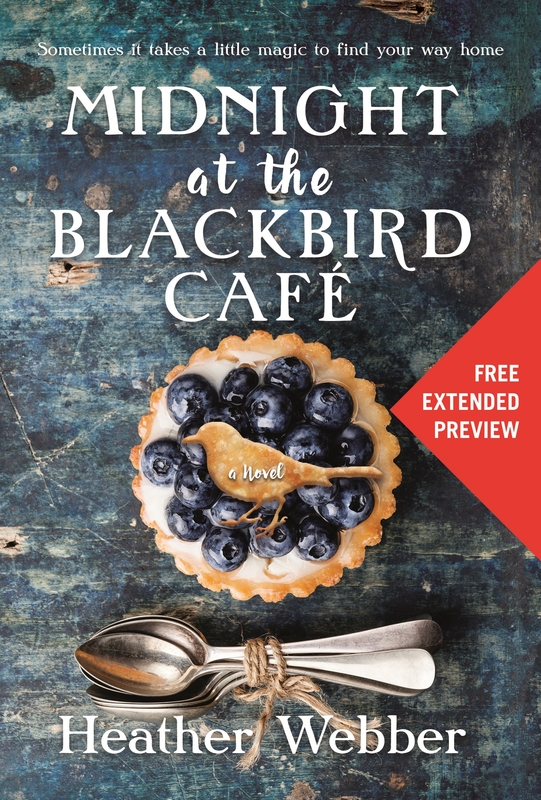 Download a FREE sneak peek of Heather Webber's Midnight at the Blackbird Café—a captivating blend of magical realism, heartwarming romance, and small-town Southern charm! About the AuthorHeather Webber is the author of more than twenty mystery novels, including the Nina Quinn series, and has been twice nominated for an Agatha Award. She's a homebody who loves to be close to her family, read, watch reality TV (especially cooking competition shows), drink too much coffee, crochet, and bake (mostly cookies). Heather grew up in a suburb of Boston, but currently she lives in the Cincinnati area with her family and is hard at work on her next book.